Cailean MacIlleathain le ceòl na pìoba bho Anna Mhoireach, Jack Lee agus an còmhlan Bagad Cap Caval. Cailean MacLean with pipe music from Anna Murray, Jack Lee and Bagad Cap Caval. Cailean MacIllEathain le ceòl na pìoba bho leithid Anna Mhoireach, Jack Lee, Cameron Drummond, Fionnlagh Dòmhnallach agus an còmhlan Bagad Cap Caval às a' Bhreatainn Bhig. 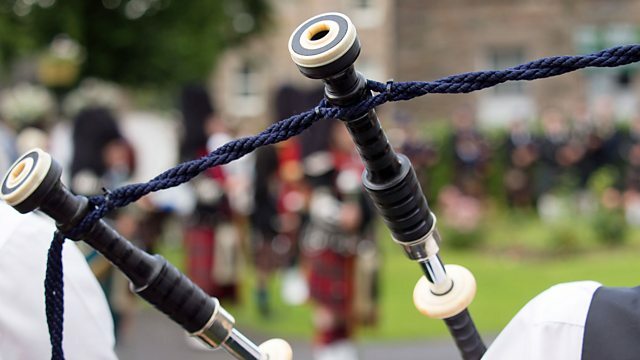 Cailean MacLean with a selection of pipe music from Anna Murray, Jack Lee, Cameron Drummond, Finlay MacDonald and the Bagad Cap Caval pipe band from Brittany. THIRD GRAND CONCERT OF PIPING.